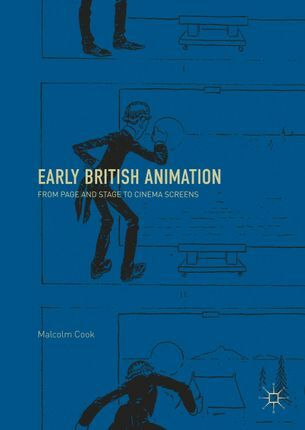 This book is the first history of British animated cartoons, from the earliest period of cinema in the 1890s up to the late 1920s. In this period cartoonists and performers from earlier traditions of print and stage entertainment came to film to expand their artistic practice, bringing with them a range of techniques and ideas that shaped the development of British animation. These were commercial rather than avant-garde artists, but they nevertheless saw the new medium of cinema as offering the potential to engage with modern concerns of the early 20th century, be it the political and human turmoil of the First World War or new freedoms of the 1920s. Cook’s examination and reassessment of these films and their histories reveals their close attention and play with the way audiences saw the world. As such, this book offers new insight into the changing understanding of vision at that time as Britain’s place in the world was reshaped in the early 20th century.